Well that time has come, time to wrap up the week. Boy, this week sure up speed by, anyone else feel like that? It probably has a lot to do with the holiday. Here are a few lovely things that have caught my attention this week. They are all home decor/furniture. That is all that has been on my mind lately. I can't wait to start some makeovers in my home, but that will have to wait until after I get back from vacation, until then, I can just go gaga over the pictures, right? They are a great inspiration to me and I hope they will be for you to. Love, love, love this idea. Turn a old door into a outdoor table. OH My!! 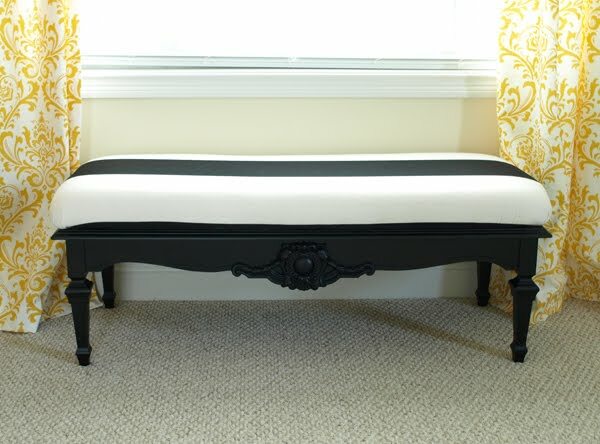 You MUST go see how Julie at Less Then Perfect Life of Bliss made this bench! Allrighty then, Hope you all have a wonderful weekend! These are awesome, Rita! Thank you so much for sharing! Definitely inspiring! I love the chandelier idea, my mom & dad were about to trash an antique crystal chandelier they found in the dinning room when they moved into their new (but old) home a few years ago. Before they did, I made them promise to save it for me! I live much too far away right now to pick it up, but I plan to do something fabulous with it as soon as I can! By the way, I noticed you are from WA, I grew up in Tacoma but now live in New Mexico with my husband and 18month old. Thanks for stopping by my blog...I am loving yours! I love the chandelier idea! The color is great!